Here are some hard to find Operational Codes that you find in the History tab in Windows Task Scheduler. Very useful for trying to figure out why your scheduled task isn’t working. 0 or 0x0 The operation completed successfully. 1 or 0x1 Incorrect function called or unknown function called. 2 or 0x2 File not found. 10 or 0xa The environment is incorrect. 0x41300 Task is ready to run at its next scheduled time. 0x41301 Task is currently running. 0x41303 Task has not yet run. 0x41304 There are no more runs scheduled for this task. 0x8004131F An instance of this task is already running. 0xC000013A The application terminated as a result of a CTRL+C. When a computer reboots, there may be certain applications that need to be started. This was easy to do in Windows XP. All that you need to do is drag a shortcut to the app into the Startup folder through the Start menu -> All Programs -> Startup. However, in later versions of Windows (i.e. 2012, Windows 10) this option isn’t available in the Start menus. This is for opening the Startup folder for all users. If you just want to open the folder for the logged in user, type shell:startup. Add shortcuts to the applications you want to run in the open Startup folder. Then the next time that you reboot the computer, the applications in the Startup folder will . At Microsoft Connect(); 2016, it was announced that MS SQL Server was available for Linux (Ubuntu and RedHat) and MacOS. This was a real surprise and I’m not sure if its free or not. It was an easy installation on Ubuntu 16 running on HyperV on a Windows 2012 server. 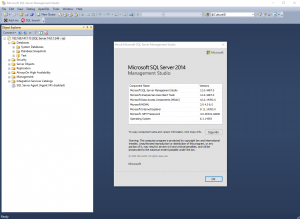 After you install the software, a brief tutorial on using it from the command line is here, but I prefer using SQL Server Management Studio (see below). This is a default error page that gets displayed for ASP.NET sites. This is ok, but I prefer something more friendly than this type of page which doesn’t mean much for most people. A custom error page should have information about your website and contact info for the user to let you know the site failed. The code to redirect errors to a custom page is added to the web.config file (located in the root of the website folder). 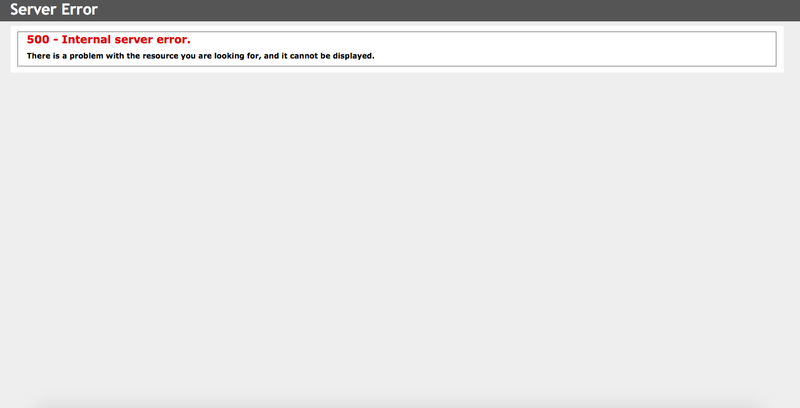 The following settings refers to Error.aspx in the /ErrorPages folder.